Why would I need self storage in New Windsor, NY? There are a variety of reasons why you might need self-storage in New Windsor, NY. How much is a storage unit in New Windsor, NY? The cheapest storage unit in New Windsor, NY is $45.00 per month. What size storage units do you have available in New Windsor, NY? In New Windsor, NY we have sizes that range from 5'x5' to 10'x30' to suit your storage needs. How much is it for a 5'x5' storage unit in New Windsor, NY? The cheapest 5'x5' storage unit in New Windsor, NY is $45.00 per month. New Windsor is a mid-size town, located on the borders of both the town and city of Newburgh, New York. The growing population of New Windsor includes many young families, attracted by the community's numerous amenities, recreational programs and local parks. The area that's now New Windsor was originally granted to Captain John Evans. He received the privileges and powers of the lord of the manor in 1694. In 1709, the town was organized with other towns in the area under the Precinct of the Highlands. During the Revolutionary War, most inhabitants who lived in the town supported the war and its leaders. Numerous structures were built to house and help the soldiers in the area, and many of them remain as historic sites today. After the Revolutionary War, the community continued to grow and develop. Churches and schools were constructed, and the town was divided into school districts. Families, working professionals and retirees all find New Windsor a comfortable place to call home. The town offers an impressive number of recreational programs, with options for people of all ages. After-school golf, CPR training, open basketball and driving education are just a few of the many programs for children and adults. The New Windsor Recreational Department also organizes community group trips, hosting outings to events in the area like professional sports games and local festivals. During the summer, several day camps featuring arts, crafts, games and sports. In addition to a handful of small neighborhood parks, New Windsor also has a few large town parks, including Kristi Babcock Memorial Park and Ruscitti Park. Parks in New Windsor offer amenities like picnic areas, sports fields, playgrounds and walking paths. Especially during the late spring and summer, you can find many local families enjoying the nice weather in their local park. The Cornwall, Newburgh and Washingtonville districts serve the students of New Windsor. You'll also find a number of private schools in town, providing specialized education for students from kindergarten through grade 12. Utilities: Central Hudson Gas & Electric and the town's water department are the primary utility providers in New Windsor. Garbage and Recycling: Your trash will be collected once a week. Recyclables are picked up every other week, on the same day as your scheduled trash collection. The town also provides yard waste collection services, on the weeks when recyclables are not picked up. Transportation: New Windsor is part of a well-developed public transportation network that includes bus and train service. You can easily access New York City using public transit from New Windsor. New Windsor is surprisingly affordable, considering it's fairly close to New York City. The median home price is above the national average but less than the average in many neighboring communities. For this reason, New Windsor has become a popular home base for people looking for an affordable town in the New York City area. 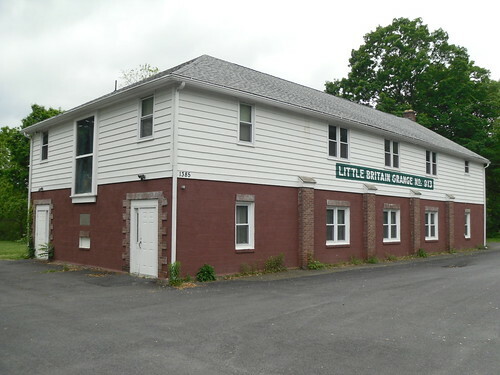 Our lowest priced units in New Windsor, NY average $45.00 per month. 35 people have reserved units in New Windsor, NY in the past 30 days. There is 1 location within New Windsor, NY's city limits.